Q R P Page Popular QRP frequencies listed below are only suggestions. 10 Watts SSB. 1.910, 3.985, 7.285, 14.285, 18.130, 21.385, 24.950, 28.385, 50.885, 144.285. There is a great sense of accomplishment when you make a contact several thousand miles away with just 5-10 watts (or less) and some Home Brew antenna or a piece of wire cut just right. Doing so teaches one how to get by with the basics just in case, should the need arise. Make ‘em listen for you !. Thanks to Don, VA3DDW and Ed, KI4EXO for providing the photo opportunity and Darryl K4VLP for his contributions to this page. 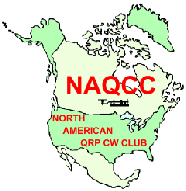 Spend some time tuning around the bands and count the SSB QSOs and then drop down around the typical CW portion of the band and count the number of CQ’s and QSO’s. Often, usually, the CW area is far more active than is the SSB portion. Click HERE for some other outing pics.